Motivational video for freshmen and English-speaking audience, lectures of professors from European universities and student photo contest on Instagram – Novosibirsk State University (NSU) actively engaged in marketing of education. Speaker of one of the events in which I participated last summer said that he had heard of only two Russian universities – Moscow State University and Higher School of Economics. If NSU not to slow down, you may receive a third university on the list. The “I love Novosibirsk State University because…” video clip, filmed by the NSU Life team, entered the short list of the international video contest organized by ‘Times Higher Education’ ranking. Among the other finalists are MIPT and University of British Columbia. The same team has released an 8-minute film called NSU for freshmen – I’d say it’s slightly out of touch, but still capable of educating and motivating first year students. 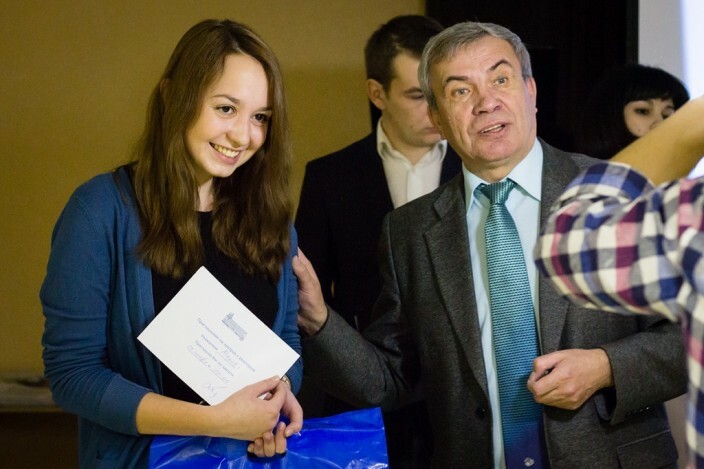 In the fall of 2014, Novosibirsk University held the Congress of Graduates with a TED-like conference, banquets and fundraising for the university’s endowment fund. Professors of the world universities started visiting NSU for lectures. In particular, in September 2014 Professor of Russian Literature at the University of Bologna, Gabriella Elina Imposti spoke about the state of Russian studies in Italy, regional versions of the Italian literary language and traditions of the University of Bologna. Finally, good news for the selfie lovers: the press service of NSU organized a photo contest in Instagram. Students published photos of university and it’s surroundings with the hashtag #instaNSU. The winner received a breakfast with the rector as a prize. Photo by Faces of NSU.